Did you know that seeking financial independence (FI) will make you a super hero so you can help save the world! I was inspired to write this post after listening in to the ChooseFI podcast episode 70R https://www.choosefi.com/070r-left-behind/ . 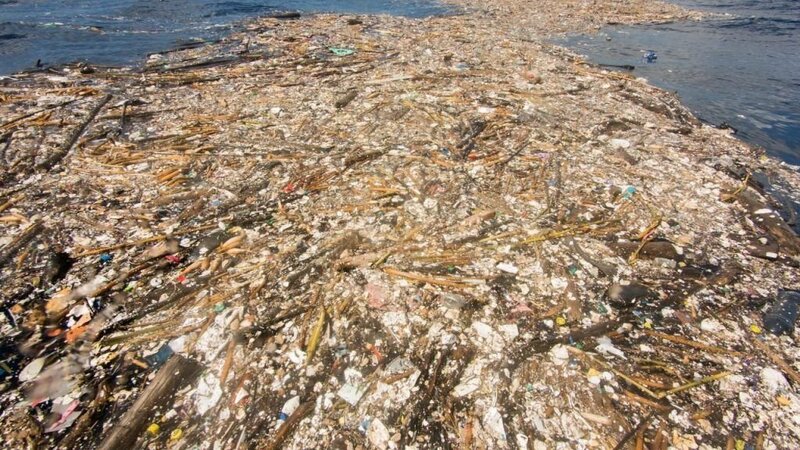 In this episode, Jonathan was discussing the Great Pacific Garbage Patch. Here is a photo of just one of the many patches, that make up this disgusting island. We should all be ashamed of ourselves, Mr & Mrs 3000 included. As this is our mess, and we are leaving this for our kids and our grand kids. Is this the legacy we want to leave, an appalling display of excess consumerism and reckless waste? NO, I hear you cry…this is not what we want at all. We need to stop this rampart consumerism and mindless waste….NOW!! It is sets you up financially, so you can take control of your life, eliminate debt and reduce your need for paid employment. It naturally makes you spend less, which in turn makes you consume less and you waste less. Our FI journey has already made us consider our waste output. We have already implemented the following steps to reduce our waste…and we still have plenty of room for improvement. We never buy plastic water bottles – If you are doing this, stop right now. This is a ridiculous and expensive habit. Invest in a good quality glass or stainless steel drink bottle for each member of the family, and fill this up before you go out. It’s not that hard! We use travel mugs rather than takeaway coffee cups. Yes, I received some strange looks from the guys at 7 Eleven, but who cares! We do not use or accept plastic shopping bags – when doing the groceries, we always take our own reusable bags. In NSW, laws are coming in to place soon to outlaw single use plastic bags, this is a great step in the right direction. I know some other states already have this in place. We have reduced our use of plastic wrap & freezer type bags – instead we invested in some quality glass containers. Here is a tip, don’t buy the Kmart ones (they chip), buy Pyrex or Décor when they are ½ price at the supermarket. We compost our green waste – As Mrs 3000 and I eat a lot of fresh food, this is a large portion of our waste, we now reuse this in the garden. We reuse other items - Egg Cartons are great for sprouting seeds, bubble wrap and boxes can be used again…think before you throw out. We donate unused clothing, toys, kitchen appliances, sporting goods and other household items. If we are not using them, we donate them to charity or place them on gumtree for free. Finally, if none of the above options are available, we recycle. When recycling, just be sure to prepare your recycling so it doesn’t end up in landfill. Separating the lids and rinsing the items will give them the best chance of being recycled. Also, you can now get paid to recycle in various states and territories, so you can add to your savings too. Investigate different food wraps such as bees wax wraps. This would eliminate the need for plastic wraps. Source more whole foods with no packaging. Reduce our use of paper towels and other single use items. We are all responsible for this planet and we all have a duty of care to ensure that we each have as little negative impact as possible. Making some small changes in thinking can result in huge reductions in your waste output. Give it a try, little by little you will see the benefits in your bank account as well as your rubbish bin.